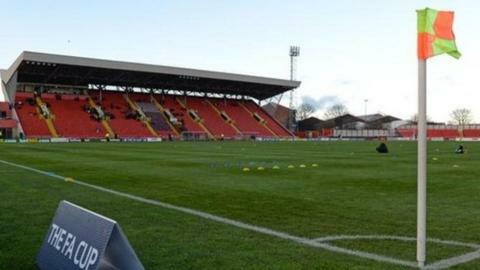 Gateshead owners Richard and Julie Bennett have agreed to sell their shareholding to an overseas consortium. The agreement, still subject to Football Association and National League ratification, is not expected to affect manager Steve Watson's position. If completed, the deal will end the Bennetts' three-year spell in charge. Managing director Brian Waites said the potential new owners have an "exciting vision for the future" for Gateshead, who finished 17th this season. He continued: "It is their intention to retain both football and operational management teams. "We will continue to work closely during the next few weeks with the consortium, Football Association and National League to conclude the deal as quickly and efficiently as we possibly can." The Bennetts took over from Graham Wood in May 2015, with the aim of returning the club to the Football League for the first time since 1960. However, promotion has eluded them, as did an FA Trophy final this season when Bromley beat them in the semis.